What: If your closet had a facebook page, I bet it would look like RNKD.com. Share your purchases & show off your duds. RNKD rewards you for indexing your closet. Don't have time to upload your entire wardrobe? Share each piece of your daily outfit. 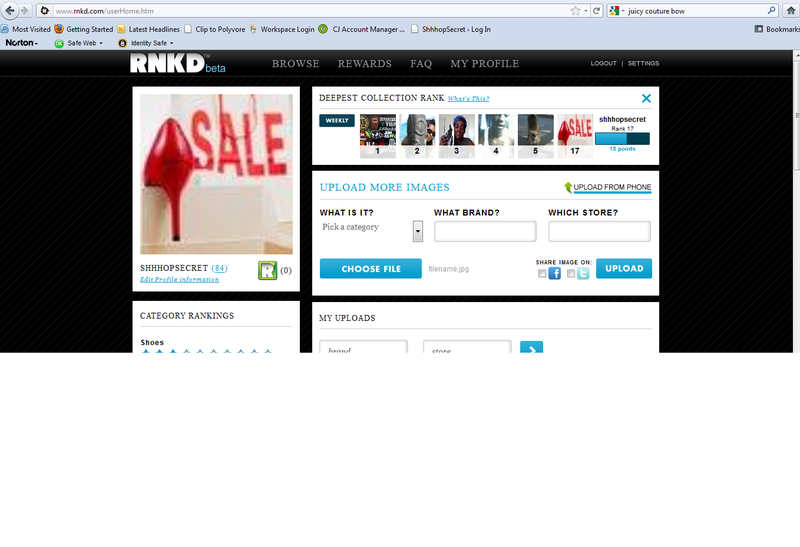 Snap a photo & upload to your computer or download the RNKD app in iTunes for free. Why: Earn rewards, discounts and VIP access from the brands you love most by uploading your clothes and accessories. *Currently RNKD is offering a $20 Zappos.com Gift Card for each member after uploading 20 pics of items from your personal closet. Rewards, Rewards & More Rewards!!! Every Monday: a $25 & a $50 gift card are awarded to "Most Improved" & "Deepest Collection"
Every Tuesday: "Most Influential" receives a $50 gift card. Plus! : Every Monday, Wednesday & Friday at 1PM, 1 user is randomly selected for a $500 gift card! How fab is your closet? There are also $50 gift cards awarded each week for best closet, sneakers, handbags, watches, shoes, & more!